Some readers might be interested in this podcast with FT writer Martin Sandbu and Cardiff Garcia. They discuss economic ideas that would have been considered unthinkably radical a few years ago, but which are now generating serious discussion. Well worth a listen! There have been some suggestions in Ireland, since June 23, to the effect that Ireland and the UK ought to be allowed to cut a special deal avoiding the need for customs borders within Ireland. In many cases these interventions seem to be ignorant of the basics of trade policy, and so a brief post on the distinction between free trade areas and customs unions might be useful at this point. There are lots of explainers out there on the distinction: here, here, and here, beginning at p. 111 for example. Briefly, the main distinction between an FTA and a customs union is that in the latter, member states agree to a common external tariff, enforced along their common border with the rest of the world. Why would they do this, rather than retain the freedom to set their own tariffs vis-à-vis other countries? Because without a common external tariff, internal border controls will be necessary to avoid what is known as trade deflection. Imagine that the UK and EU form a free trade area, but that the UK sets a 20% tariff on Japanese cars, while the EU sets a 10% tariff. Without border controls between the UK and EU, everyone would import Japanese cars into the UK via the EU — which would undermine the UK’s trade policy. Similarly, imagine that the UK does a trade deal with the US, and agrees to admit American beef duty free, while the EU retains a 15% tariff. Again, absent border controls between the UK and EU, everyone would import US beef into the EU via the UK, thus undermining EU trade policy. So long as the UK and EU set different tariffs, therefore, there have to be border controls between them to ensure that Japanese cars and US beef are not being freely traded between them, alongside the UK and EU products that are entitled to be freely traded. And it is precisely because such border controls are costly that the EEC decided, all the way back in the 1950s, that it would set up a customs union rather than a mere free trade area. * The EU’s common external tariff is not a source of barriers: its whole point is to do away with barriers. That is why the provisions in the treaties regarding the customs union appear under the general heading “FREE MOVEMENT OF GOODS”. And so the fact that both Northern Ireland and the Republic were in the same customs union from 1973 onwards, and in the same Single Market from 1993 onwards, has been a great thing for Ireland. The Union shall comprise a customs union which shall cover all trade in goods and which shall involve the prohibition between Member States of customs duties on imports and exports and of all charges having equivalent effect, and the adoption of a common customs tariff in their relations with third countries. No wiggle room here, as there is for example in some of the provisions regarding monetary union, and for good reason: the customs union has been the uncontested heart of the European project since the 1950s. As long as the North is outside the EU and its customs union, and the Republic is inside, there will have to be border controls between North and South to rule out trade diversion. this is not an issue of political negotiation, but technical necessity. It is possible to soften the hardness of border by erecting customs posts for trucks alongside the motorway, before and after the border, and allow passenger cars free cross the border. But since the EU applies tariffs and taxes to goods entering the customs union, those goods have to be monitored at some point during the transit. You can think of the softest conceivable border as the one between Switzerland and Germany. Switzerland is in Schengen, but not in the customs union. Passenger cars pass relatively quickly, while there are sometime long lines of lorries on the motorway before the border. Call it what you will. But there will have to be customs controls post-Brexit. Even if it were mysteriously possible for Ireland not to enforce the common external tariff and remain inside the EU, which it quite obviously isn’t: if we magically got the right to not check goods coming across the Border, what would be the result? Since Ireland would be de facto outside the customs union, all trade between Ireland and the EU26 would necessarily be subject to costly border and customs formalities, so as to rule out trade deflection. The basis for our prosperity, costless access to the Single Market, would be destroyed. The return of the Border, however soft, is appalling. I understand that people wish that the British had not placed us in this position, but they have (the British, mark you, not the EU). And closing our eyes, sticking our fingers in our ears, and hoping that a fairy godmother will magic our problems away will not help. It is logically coherent, if lunatic, to argue that Ireland should quit the EU and join the UK customs union (leaving the EU would on its own obviously not suffice to avoid a North-South border: our exit from the EU would have to be of the red, white, and blue variety). It is logically coherent to argue that Northern Ireland should remain within it, and I wish it would. That seems like something worth arguing for. But it is logically incoherent to argue that if we remain in the EU and its customs union, and the North leaves both, there can be some special deal that will avoid the need for a customs frontier on the island. Those who want Ireland to leave the EU know that they are in a small minority, and many will not come out and argue for their position particularly strongly, for fear of being laughed out of court. The evidence that our prosperity is based on EU membership is overwhelming. But expect them, in the months and years ahead, to claim that the return of a customs frontier somehow shows that “the EU” has let Ireland down. The Brexit campaign shows that such dishonesty can pay: which is why it is so important that everyone understand that if the North leaves the EU and its customs union, and we remain inside it, there is nothing that the EU or anyone else can do to prevent the return of such a frontier. There are other benefits to having a customs union: for example, the EU 27 is a far more formidable negotiator than the UK, allowing the EU to strike more favourable trade deals with third parties. This workshop is intended to begin a dialogue between Ireland and Scotland (and perhaps Wales and Northern Ireland) over economic issues of joint interest. This first workshop is being held in Edinburgh, Scotland and is being organised by David Bell (Stirling Management School) and Liam Delaney (Stirling Management School and University College, Dublin) and Ray Perman (David Hume Institute). The papers from the workshop will be published by the David Hume Institute. The event is sponsored by Fiscal Affairs Scotland. Registration is free but spaces are limited so please register here in advance. A full programme for the day will appear on this site soon! 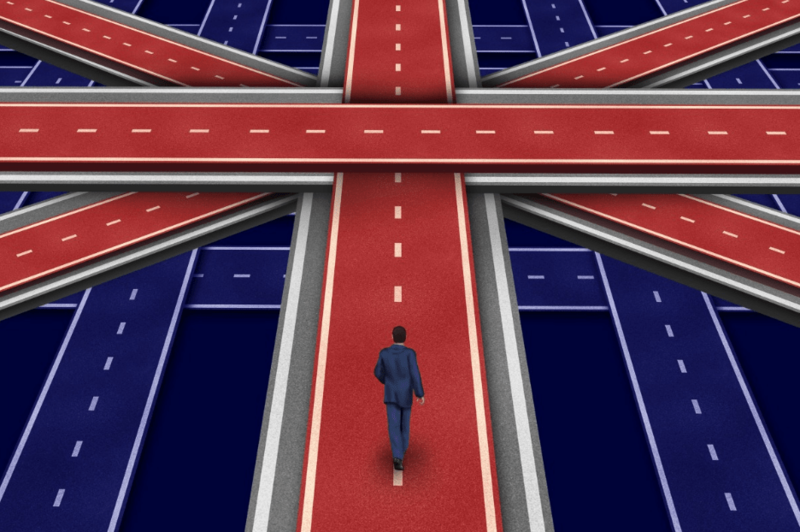 You might be interested in a talk to be given by Hussein Kassim (UEA) on ‘Brexit: destination still unknown?’ on Thursday 16 Feb, 9:30-11:00, in UCD Newman G316. Tea and will be coffee available from 9:00. Information about getting to UCD is here, and information about parking on campus is here. All welcome. Please RSVP to Dara.Gannon@ucd.ie by 12:00 on Tuesday 14 February. This seminar is jointly organized by UCD School of Politics and International Relations, UCD College of Social Sciences and Law, and UCD Geary Institute for Public Policy. Battista Severgnini (Copenhagen Business School) and I are currently working on a project on the Irish movement of Independence (1913-1921). The project investigates the determinants of joining the rebellion movement. In particular, we explore whether the famine played a role in the probability of joining rebellion activities. Controlling for the level of economic development and other potential concurring factors, we test the role of the great Irish famine as an exceptional legacy of rebellion during the movement of independence. The working paper is available here: The Deep Roots of Rebellion: Evidence from the Irish Revolution. Thank you for your help in constructing our data set!